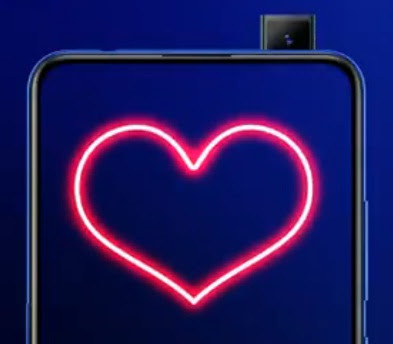 Samsung has launched Galaxy A series smartphones today dated February 28, 2019 in India. The brand has introduced these mobile phones in a different segment with different price ranges from budget to mid-range level. 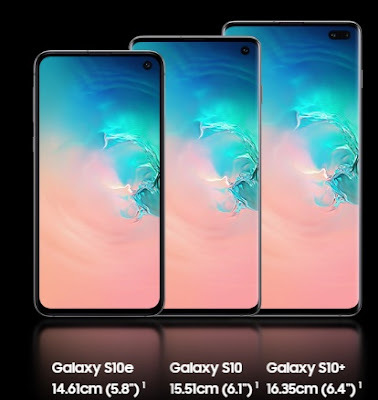 Samsung has recently released Galaxy S10 series and Galaxy M10 series of smartphones as well. This time, the brand has come up with an aggressive price ranges and devices in the market to chase its different level of rivals seems. If you are looking for Samsung Galaxy A10, A30 and A50 phones' key features, technical specifications, price, unboxing, first impression, hands-on, comparison and review etc. then you could find some of them over here. Time being we furnish here with Samsung Galaxy A10 features and specifications beside other A series cell phone's price. The phone is powered by Exynos 7884 Octa-core processor and coupled with 2GB of RAM. The internal storage of the device is of 32GB with an expandable memory option. Samsung Galaxy A10 phone runs on Android Pie operating system based Samsung One-UI. With regards to display, the phone comes with 6.2 inches HD+ Infinity-V model. With regards to its camera, the phone comes with 13 megapixel rear camera and 5 megapixel front shooter. The phone is powered by 3400mAh battery. This could be one of the cheap and best smartphone of the year. This mobile phone is powered by brand's Exynos 7904 Octa-core processor and paired with 3GB, 4GB RAM variants. The internal storage comes with 32/64GB variant with an external slot option. The Galaxy A30 runs on latest Android Pie operating system based Samung One UI. The display size of the phone is 6.4 inches FHD+ and super AMOLED Infinity-U. With regards to the cameras of Galaxy A30, it sport 16+5 megapixel rear and 16 megapixel front shooter. The phone is powered by 4000mAh battery, with fast charging and Type C USB. The cell phone is powered by brand's Exynos 9610 Octa-core processor and paired with 4GB, 6GB RAM variants. The internal storage comes with 64GB variant with an external slot option. With regards to the cameras of Galaxy A30, it sport 25+8+5 megapixel rear and 25 megapixel front shooter. The phone is powered by 4000mAh battery, with fast charging and Type C USB. You can get the best deal around. 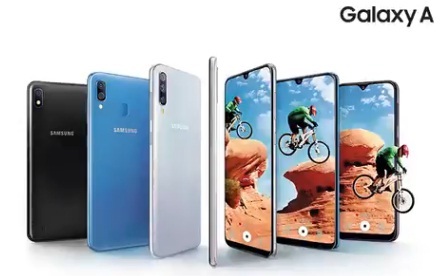 Please find Galaxy A10 specs and A10, A30 and A50 phones price detail below. Tips: The latest and cheapest smartphone in the market - coming soon. AQ-FIT is a high-tech enterprise specialized in R&D, designing, manufacturing gadgets' include Smart Bracelet and Smartwatch etc. 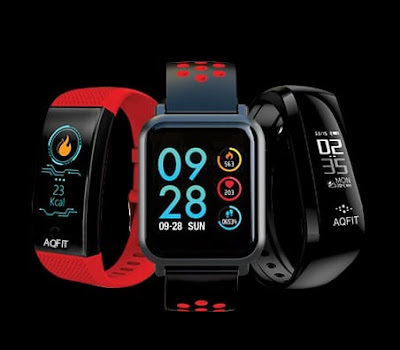 has recently launched AQFIT W8 smartwatch that comes with an international standard rating of IP68. The health and fitness device is here. If you are interested to buy the latest smartwatches then here is one more option for you. It may have a suitable features that you are looking for and it may also match your budget. You can find AQFIT W8 smart watch key features, technical specification, pros and price detail etc. below. The subject smartwatch comes with 5 ATM waterproof class and has 1.33 inch IPS full color screen display. It also has a single touch Anti-Scratch 5th Gorilla Glass Corning formed by 2.5D curved surface and metallic unibody design with a premium look. The material used for AQ-FIT W8 smartwatch is Zinc Magnesium and Silicon. The smart watch track record of the fitness and activity on a daily basis for future reference along with sleep monitoring. The watch parts are convenient and removable for cleaning. You can charge the W8 watch in 2 hours that will last 5 days at least. The watch can be connected via Bluetooth on your mobile phone by downloading its Da Fit app, from Play Store etc. W8 is for customized watches on the market. Would you like to know where to buy AQ-FIT W8 smart watch? Here is the answer. You can buy W8 watch from Flipkart, Amazon, Snapdeal and shopclues etc. Tips: The latest smartwatch in the market that comes with potential features in a competitive price. Samsung has revealed foldable smartphone in MWC 2019, Spain, Barcelona recently. Samsung Fold is one of the expected phones from the brand in MWC19. The company has introduced few other gadgets in the same event. Samsung has recently introduced Samsung S10 series smartphones in MWC 2019 and the brand has recently released M series smartphones as well beside its other home appliances. If you are looking for Samsung Galaxy Fold key features, technical specifications, price, unboxing, first impression, hands-on, review and comparison etc. then you could find some of them over here. The pretty phone is powered by Qualcomm Snapdragon 855 processor and paired with 12GB of RAM to match the 5G speed. The internal storage of the phone is 512GB and the device comes with Infinity-Flex display. 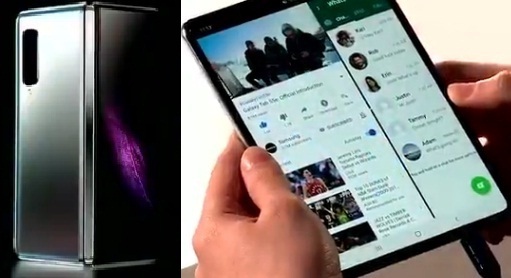 Samsung Galaxy Fold runs on the latest Android Pie and Samsung One operating system. The mobile also has three app multi-tasking feature. The gadget comes with 4G LTE / 5G version as well. Samsung Fold cell phone has built with Metal chasis and this is the first foldable phone from the brand. It also comes powered by two batteries combined of 4380mAh. With regards to foldable phone's cameras, it comes with total six cameras viz. 16 megapixel (ultra-wide-angle), 12MP (wide-angle), 12MP (telephoto) rear one, two 10 megapixel, 8MP 3D depth front shooter cams. This is one of the best and innovative phone from Samsung in 2019. You can check Samsung Fold mobile phone's specs and price detail below. Samsung Fold price: Starts $1980. Available from April 26, 2019. Tips: It looks promising device to have one. Huawei Consumer Business Group (CBG) has launched two new notebooks in MWC2019 Barcelona, Spain. The HUAWEI MateBook 13 and HUAWEI MateBook 14 inches laptops. Huawei’s latest ultra-portable lightweight 13-inch and 14-inch notebooks designed for mainstream consumers like a target young consumers with an eye for style and performance. All in all, HUAWEI MateBook X Series successor is out. The brand has earlier released MateBook X Pro laptop as well. Innovative Technology Elevates All-Scenario Experiences from such a gadgets. If you are looking for an high-end and most features packed laptop then one more option is here for you in 2019. 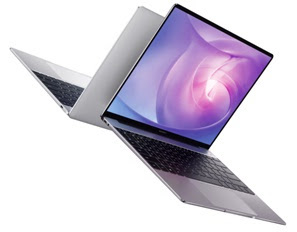 HUAWEI MateBook 14 and MateBook 13 laptops' key features, specification, price etc. available below. You may also find those laptops' first impression, unboxing, review, comparison and hands-on etc. anytime soon. These MateBook will be available in China as well as select countries and locations in Europe, North America, Asia Pacific, Middle Eastern and more from February 2019. Tips: The high-end laptop in a reasonable price. Vivo has launched Vivo IQOO gaming smartphone in China on March 1, 2019. The mobile phone is powered by with Qualcomm's Snapdragon 855 processor and paired with 12GB RAM etc. The brand has recently launched Vivo V15 Pro smartphone that comes with a Full-view display, In-display fingerprint and a pop-up selfie camera etc. in a decent price. This time Vivo has come up with the latest gameplay cell phone that may attract many youths across. 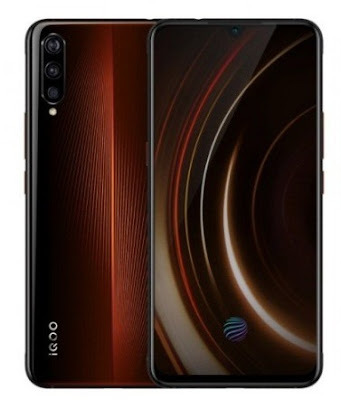 Other than 7nm SD processor and RAM detail given above, Vivo IQOO sport 12 megapixel rear camera and 13-MP rear camera with 120-degree ultra-wide lens, LED strip and pressure sensitive buttons. The phone is powered by 4000mAh battery with 44W ultra-fast flash charge and 6.41 inches AMOLED FHD+ display aside 1080 by 2340 pixels resolution. 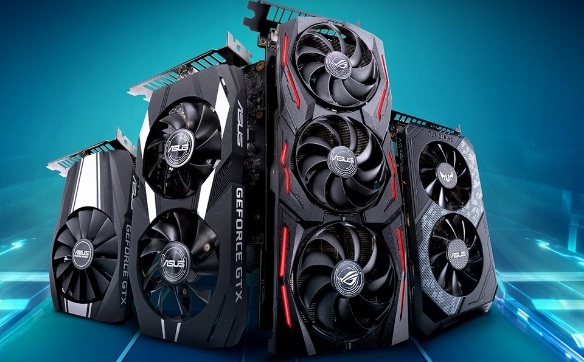 Since it is dedicated for gaming purpose, it also comes with Adreno 640 GPU. If you are looking for the latest gaming smartphone then this is for you. Vivo IQoo starting price expected is at INR 37,990. There are two different news right now related to Vivo, a giant manufacturer of Smartphones and associated gadgets. 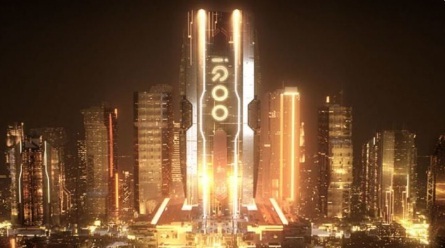 The first one is, Vivo introduced iQoo as sub-brand and the other one is Vivo iQOO smartphone is launching on March 1, 2019. Hope it will be clarified soon (or unknown yet on already clarified it) whether it is a sub-brand, or phone name itself or iQoo series will be introduced with device. Anyhow, Vivo iQOO smartphone is coming with most features packed one. Would you like to know the features of the Vivo iQoo phone? If yes, please find them below and these may or may not be a correct one though its official ads shown the specs likewise and have to wait for its official announcement. The mobile phone would come with Qualcomm's Snapdragon 855 processor and paired with 12GB RAM. The device would run on the latest Android Pie operating system. With regards to its ROM, it must be introduced with 256GB internal storage and expandable memory option. As far as the camera of the device, it would come with 44MP or 48MP camera, NFC and super HDR etc. We would furnish more detail about Vivo iQoo phone detail soon. Stay tuned and please find its price expectation below. Tips: One of the best and high-end smartphone per features leaked. As you are aware, Samsung has launched Galaxy S10E, S10 and S10 Plus smartphones beside Ear buds and Galaxy Smart watches etc. in Samsung Unpacked 2019 event on February 20, 2019. We have recently given the detail of Galaxy S10 smartphone and would like to share about Samsung Galaxy S10E mobile phone herewith. We would furnish the detail about the other Samsung gadgets' soon. If you are interested to know a bit about Galaxy S10E phone's key features, technical specifications, price, first impression, unboxing, comparison, review and hands-on etc. then you could find few of them over here. The phone is powered by Qualcomm Snapdragon 855 processor and paired with 6GB or 8GB RAM variant. The device comes with 128GB, 256GB variant internal storage. The Galaxy S10E runs on the latest Android Pie operating system. The cell phone comes with 5.8-inch Infinity-O Display. No in-display fingerprint sensor at front side but it has fingerprint unlock at the rear side. As far as the cameras of the phone is concerned, it sport 16+12 megapixel rear camera and 10 megapixel front shooter. This could be one of the best selling high-end smartphone. You can check Samsung Galaxy S10E phone's specs and price detail below. Tips: This could be the cheapest one in the latest S series. 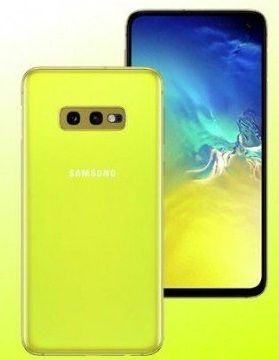 Samsung Unpacked 2019 event has come up with Galaxy S10E, Galaxy S10 and Galaxy S10+ smartphones on February 20, 2019. These phones has launched in India on March 6, 2019. Samsung has earlier released Galaxy M series, Galaxy A9 and Galaxy A8s FE phones etc. Samsung has also launched the Fold smartphone, Galaxy watch and Ear buds beside above subject Galaxy S series of phones at the event. If you are looking for Samsung Galaxy S10E, Galaxy S10 and Galaxy S10 Plus phones' key features, technical specifications, prices, first impression, unboxing, comparison, review and hands-on etc. then you could find some of them over here. Galaxy Unpacked 2019 event comes with Fold smartphone, Galaxy S10E, Galaxy S10 and Galaxy S10+ devices, Ear buds and Galaxy Smart watches. You can time being check the Samsung Galaxy S10 features, specifications and price detail below. The phone is powered by Qualcomm Snapdragon 855 processor and coupled with 8GB of RAM. The internal storage of the phone is of 128 and 512GB variant. The display of the device is 6.1 inches with Gorilla Glass 6. Samsung Galaxy S10 phone runs on Android Pie operating system. With regards to its camera, the mobile phone comes with 10 megapixel punch hole in front (for selfie or front shooter) and the triple rear cameras with 16+12+12 megapixels sport. This could be one of the best selling smartphones for the year. If you have a question like where to buy Galaxy S10 smartphone or what is the price of Galaxy S10 etc. then you could find its update here. You can also check its specs and price detail below. Stay tuned for more Galaxy S10 series smartphones and other gadgets launches info herewith. Tips: One of the feature packed device to go with. 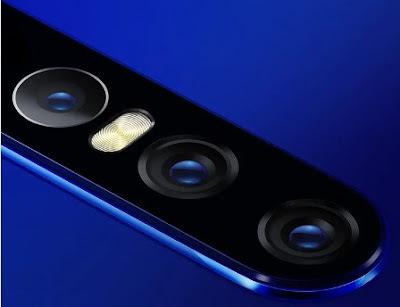 Xiaomi has launched Mi 9 and Mi 9 SE smartphones today dated February 20, 2019 in China. These phones are expected to launch in other country or region as well. The subject mobile phone was launched beside Mi 9 phone. Xiaomi has earlier released Mi Play, MI 8 Pro and Mi MIX 3 excluding Redmi phones and upcoming Mi Foldable and MIX 4 devices. This is other than their Poco Phones. If you are interested to know Mi 9 SE phone's key features, technical specification, price, first impression, unboxing, comparison, review and hands-on etc. then you could find some of them over here. The phone is powered by Qualcomm's Snapdragon 712 flagship processor and paired with 6GB of RAM to perform the 5G matching speed. The internal storage of the device is of 64GB and 128GB variant with expandable memory option. 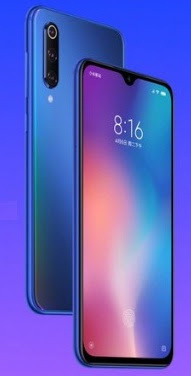 Xiaomi Mi 9 SE runs on Android Pie operating system based on latest MIUI version. The display size of the gadget is 5.97 inches AMOLED and comes with 5th gen In-display fingerprint scanner. As far as the camera of the phone is concerned, Mi 9 SE phone sport triple rear camera (48MP Sony IMX586 + 8MP + 13MP) and 20 megapixel Front lens for selfie purpose. This could be one of the best smartphones in 2019 and possibly best selling phone as well. You can check Mi 9 SE mobile phone's specs and price detail below. Tips: 5G speed challenging device probably. Vivo has launched Vivo V15 Pro smartphone on 20th February 2019 in India. This is one of the most anticipated smartphones in the beginning of the year. You would have observed that there was a teaser ads around too. Vivo has recently introduced Vivo APEX 2019 device other than the subject mobile phone. The Vivo V15 Pro phone is confirmed. So, no Vivo V13 series gadget yet. If you are interested to know more detail about the Vivo V15 Pro mobile phone's detail then you could find some of them over here. This was in the list of the upcoming smartphones post Mid-February 2019. The cell phone is powered by Qualcomm Snapdragon 675 processor and paired with 6GB of RAM. The internal storage is of 128GB with an expandable memory option. The phone comes with super night mode that helps you take four times better pictures in low-light condition. The camera sport 48 megapixel sensor and 32 megapixel front shooter with pop-up camera feature. The display size of the phone is 6.39 inches and Super AMOLED glass. It has In-display fingerprint feature too. Vivo V15Pro is fully feature packed gadget to enjoy. This could be one of the best smartphones and you may get the best deal of the device around as well. You can check V15 Pro specs and price detail below. Let us wait which brand is going to tease the device soon. We may also publish Vivo V15 Pro's first impression, more features, specs, unboxing, comparison, review and hands-on etc. anytime soon. Stay tuned. Vivo V15 Pro price: INR 28,990. You can pre-book from 20th Feb 2019 and Super Day 6th Mar 2019. You may have a question like where to buy Vivo V15 Pro smartphone? Yes, you can buy from any Vivo showroom or its retailer or online shopping websites. Tips: The latest and the best smartphone to grab it. There are few upcoming smartphones soon and those devices list is given here. If you are searching for the latest or forthcoming mobile phones' detail then find them over here. This year, you may come across different features smartphones compare to last year's Top Notch or Small notch like water-drop notch or Full-view feature etc. And, if you compare to earlier version then you would find some changes for sure. You could see henceforth Foldable smartphones, Hole-punch smartphones, Slider mobile phones, Dual display phones and Pop-up camera smartphones etc. Few of them would come with 48 megapixel camera feature and few Software upgraded one. Few of them latest Gorillas Glass version. And, 5G possibilities as well. The below cell phones could be one of them. The price and features of the phones may vary. They are futuristic gadgets for sure. Few of them already launched in China but expected to launch in other countries too. All of them would packed with features including AI and IoT etc. The above list will be updated. There are few other brands that they are going to launch similar or more or less alike features' phones soon. The tirple camera and 32MP feature is new though. Few of the smartphones list is given here and they were launched few days or weeks back just.